The chance to dive in Indonesia, the country at the heart of the world's marine biodiversity, is always a privilege. The thought of the dragons of Komodo Island and the amazing dives sites in its surrounding waters also fills me with awe. 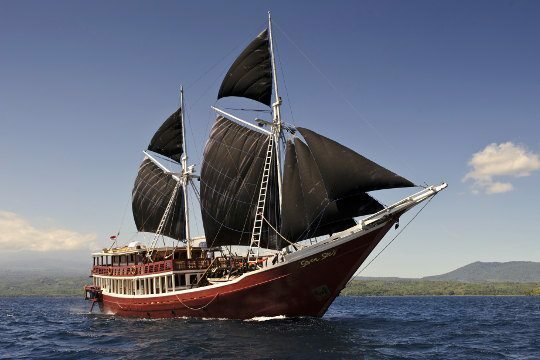 So you can imagine my delight at the chance to board the new liveaboard, the Seven Seas, on a trip around Indonesia's best loved national marine park. I arrived for the late-September tour and, after a night in Bali, checked-in for my morning flight to Labuan Bajo, Flores. Such flights mean you can concentrate all your dive time within the park, instead of spending 2 or 3 days getting to and from Bali and diving (in my opinion) inferior sites. The flight with IAT was on a little twin propeller plane which, to my eternal relief, handled the flight well and was a steady as any jet. On board were a mix of locals, divers and other tourists gazing down as we soared over the ever-changing coastline and shimmering seas. I was glad to see my face amongst them, kissing the tortoise shell. On arrival at Labuan Bajo's little airport, I was met by a representative of Seven Seas who took us the 15 minutes from the airport to the jetty. 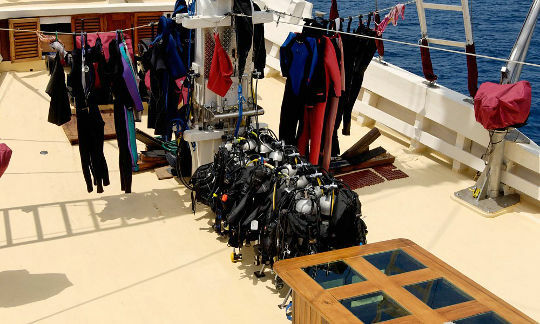 The guests introduced themselves in the minibus and chatted excitedly about what the next few days had in store for this group of disparate individuals, united only by a shared love of the underwater world. The first sight of our home for the next few days was impressive. Standing tall and proud in the harbour was this elegant, burgundy schooner. 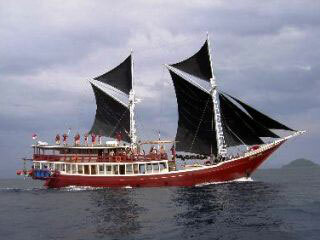 A beautiful Indonesian liveaboard sailing ship with a pronounced bow, belying the hull's original cargo purpose. The crew, all clad in Seven Seas burgundy t-shirts, helped us on board and greeted us with smiles and welcome drinks. 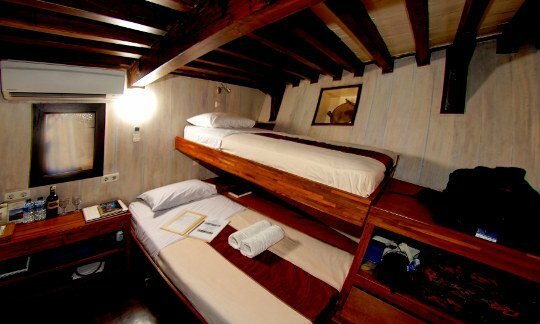 We were shown to our cabins below deck. I had a cabin with twin beds and, as with all, an en-suite bathroom of a standard you would be lucky to find in a hotel, complete with excellent piping hot power shower. 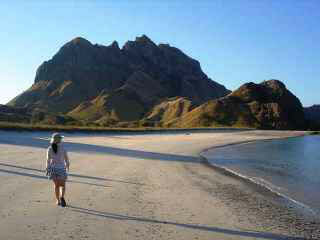 We set off from Labuan Bajo for our tour around the northern section of the Komodo National Park. I had memories of the southern section on a previous trip where water temperatures had dropped to the teens so I was pleased that this time we would be diving mostly in the north. The sites, as promised, were excellent. The one thing that seems to stand out in Komodo is the sheer colour of the reefs. Where else can you find such a riot of yellow, blue, green, red, brown and pink all in the one spot? Of course scuba diving Komodo is such a varied experience that it cannot really be said to be about one thing. There are also great numbers of fish in the right spots. One of my favourite dives was 'Fishbowl' where, in addition to shark and ray sightings and myriad little reef fish, there were also big numbers of snapper, sweetlips, trevally and fusiliers. When such fish biomass is set against the vibrant hues of Komodo's reefs surely there are few other locations which offer so much. Night dives are another feature of Komodo which must be emphasised. 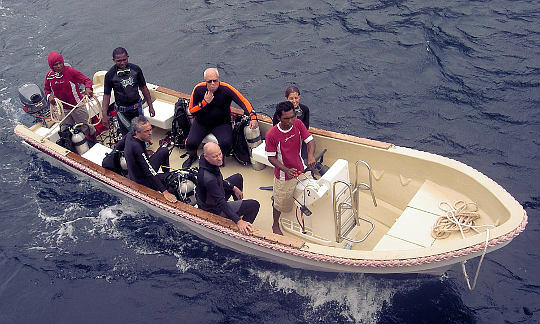 One evening we slipped away on the Seven Seas' excellent tender (which has the type of simple but effective seating arrangement that should be copied by all dive tenders) to a spot above a site known as 'Spanish Dancer'. In the dark of night a fantastic number of nocturnal creatures were scuttling and slithering over the reef, including highlights such as slipper lobsters (my first sighting) and of course the eponymous Spanish Dancers, whose mid-water dance illuminated by our spotlights provided a breathtaking moment. Pillarsteen was another highlight for me given its incredible topography with all manner of caves, swim-throughs and chimneys. This felt like a real adventure with the divemaster leading the way into seemingly dead-end fissures in the rock only to be followed by a snake of excited divers emerging out of the other side into the sunlight. As a change from focusing on all the colour and fish, Pillarsteen proved a very popular addition to our liveaboard cruise. Of course if you mention the word Komodo to most people, the first image they will have in their mind is that of the legendary dragon. Seven Seas' Komodo diving tours include a day's visit to the island where you can get up close with these enormous reptiles. We chose the 2 hour walk option, which took us inland away from the ranger station and onto higher ground, in search of dragons in a more natural habitat. Walking along through the dry sparse vegetation onto viewpoints from where you can gaze all around, and know that you are standing on Komodo Island, is a special thought. Sadly we did not see any large dragons on our trek. However on the way back we did spot a few juveniles scurrying around in the undergrowth. The island itself is a popular spot with divers and general visitors alike so you are likely to meet other travellers there. If you are on board the Seven Seas you can expect to see plenty of jealous glances into the bay when other people realise you are on the large proud burgundy sailing ship standing head and shoulders above the other liveaboard vessels at anchor. Mark Heighes, one of the owners and one of Indonesia's best known characters in the diving community, was our cruise director and throughout the trip kept us entertained with funny stories and also engaged us with interesting information about the park and the efforts to preserve its environment. Every night we would sit around after one of the tasty and varied meals that we were treated with, and chat about all manner of subjects. The guests were such a mixed bunch that mercifully we were spared the 24 hour diving chat and instead covered vast range of topics. On a couple of occasions we elected to pop on a DVD and all lounged in the saloon enjoying a movie on the flat screen TV and surround sound. Possibly the best aspect of the Seven Seas is the amount of space. 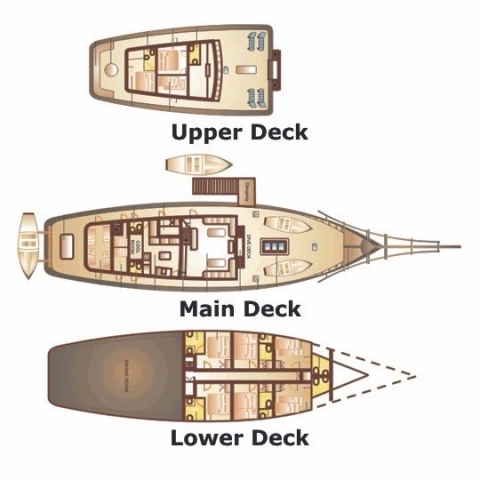 The A/C saloon is large and comfortable and in addition to the table and benches in the middle of the main deck, there is a lot of space on the upper deck. 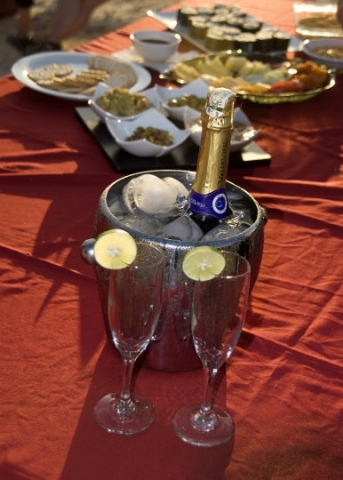 Above the saloon is an open sundeck area with sun loungers and tables and chairs, as well as cushioned sofa beds. In the aft section of the upper deck is a fully-covered lounging area with sofa beds in the trademark burgundy. 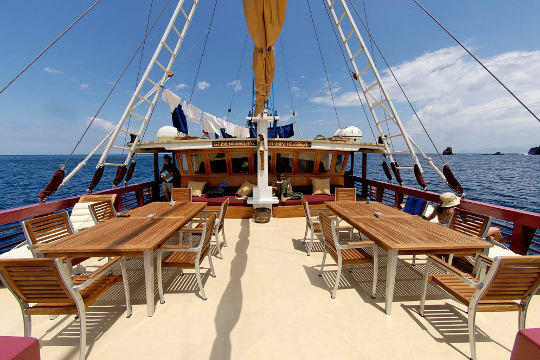 It all adds up to comfort galore; and to couple the comfort and space above water with the variety and wonder of Komodo National Park below water, truly is a great combination. 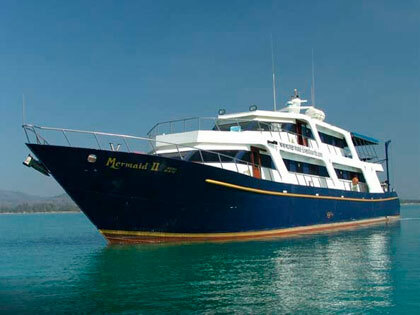 Perhaps one difference between cruises on the Seven Seas and those with other Komodo liveaboards is that guests are encouraged to explore the islands rather than spending all their free time on deck. We had a trek over an uninhabited island with spectacular views and a gorgeous beach, where the sand is a few shades more red than its more famous neighbour, 'Pink (sometimes Red) Beach'. Some guests also went of for relaxing sunset kayak excursions which make magical photo opportunities. One day while moored in a quiet bay, a dugong surfaced for breath near the boat ,which was followed by a kayak trip for further interaction. Dugongs however only play when they want to and this time it seems we weren't invited. On the journey back to Labuan Bajo as we chilled out with cold beers and the setting sun cast a pink glow over the water, dolphins cavorted in our wake and I found myself more in love with Komodo than ever, and sad to be bidding it farewell. For anyone with a love of scuba diving or an interest in nature, then this one area with Komodo dragons, manta rays, dugongs, dolphins and innumerable delightful fish and reefs, has an allure that can only be resisted for so long.